People seem to think the ache of missing our children would become more bearable over time. It doesn’t. In fact, some of my days now are more painful as the years go on, because I’m further and further since I last held my son safely in my arms. You’d think after all this time I’d be less caught off guard when I think of my son and I suddenly cannot breathe. I’m not. It doesn’t get easier to choke on air. It doesn’t get easier to live without a huge piece of your heart. Over time I think we learn how to put grief in a backpack. Sometime it stays where we put it. And sometimes it’s impossible to put in its place, and it simply crushes us, and we let it weigh heavily on us until it eventually feels lighter again and we’re able to crawl out from underneath it. Then we take a few deep breaths and keep putting one foot in front of the other. And we hobble along (maybe sometimes we skip or run), until grief sneakily hides around a corner and trips us again when we least expect it. This is the dance of grief. I read your words and it felt like I wrote them myself. My son Declan was born on August 30, 2011 & passed away on sept 2, 2011. He was born with a genetic disease we knew nothing about until he was born. The day he passed away we had family there with us at the hospital I had thought these were the important people in our lives his aunts & nana uncles he had heard their voices for 9 mos he needed to meet our family he is so loved. We shared our Declan with our family on that day but sometimes I wish I was selfish that I held him all day just mommy daddy & Declan. I feel bad saying this but I wish I held him and never put him down.. But I also think we did what we thought best at the time and to deny my sisters and my husbands sisters and mother that time with him would have been selfish. But I wish I had those few days back to hold him a little longer.. Now almost three years later I ache like the day he left us & I feel that there are always people who think “still sad?” But yes I’m still Jo-An but just a sad version of myself. I miss my baby so much I do my best to make him proud of his Mama I will honor & remember him everyday but it’s so hard to think about what may have been. Thank you for your beautiful words, I am so very sorry for your loss.. This is so very true. The pain is always there, it doesn’t get better only worse. I have my good days but even on those days, she’s always there, on my mind. Everyday that passes, gets harder and harder, I miss her so very much. Hope was my granddaughter she lived with me 5 years before she was at a friends house to spend the night last Dec 29. 2013, the girls cousin came over, starting playing around with a gun and shot Hope in the Head and killed her. It’s like that song, I turned around and she was gone. Never got to say goodbye, never, nothing, she was just gone. My heart aches so bad all the time. She was 12 and so full of life, she loved singing and dancing, she kept my house full of life and now….it is so quite, I can’t stand it sometimes….she’s gone! This sums it up so beautifully. I lost my son, Logan August 3, 2006 he was a day shy of ten months old. It has been 12 years now, and I have more good days than bad, but August never gets easier. This last week has been heavy, and I am having trouble crawling from underneath it. I am also having a hard time forgiving myself for being overtaken by my grief. I have friends who know my loss, but still can’t understand why I am struggling just to get up in the mornings. “It’s been 12 years, and you have other children to think about.” They can’t see the flashbacks in my mind. They don’t know how many times I have relived trying to breath life back into him. They can’t understand how desperately I wish I could trade him places. 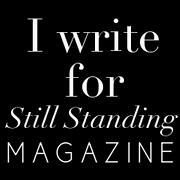 I have read through every page of this site and it has helped so much to see my feelings shared and put into words. 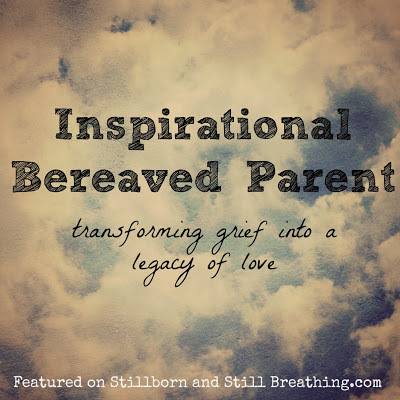 Thank you for creating this safe space for all of us parents who grieve.